A friendly greeting from Dr. Matt (chiropractor) in the reception area. Kids playing with toys in waiting room. 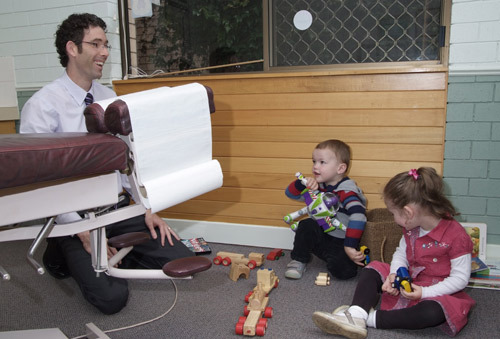 Dr Matt (Chiropractor) with children playing with toys in treatment room. 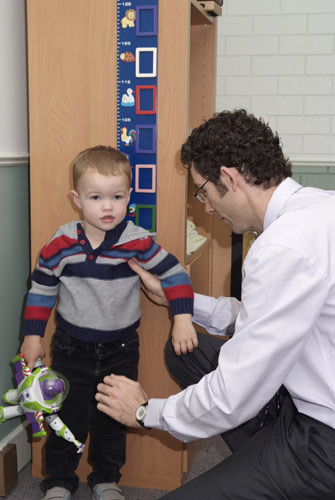 Dr. Matt (Chiropractor) checking Lukes height. Dr. Matt (Chiropractor) adjusting Darcy. 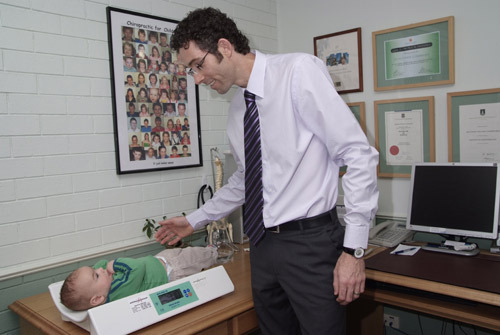 We have a baby scale in the clinic so that we can check your babies weight. Our chiropractors will give you a complete report to let you know what we have found during the initial exam. Luke getting stickers following his treatment.